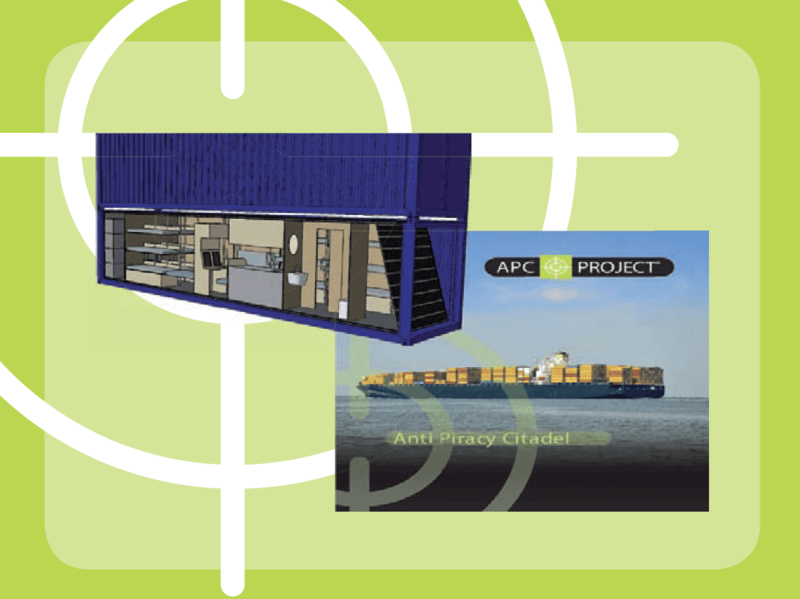 The Anti-Piracy Container aims to develop a high tech non-lethal solution for the protection of crew of merchant vessels in case of piracy attacks. The container that will be developed will be blast free, bullet proof, fire resistant, 100 % sealed, temperature controlled. 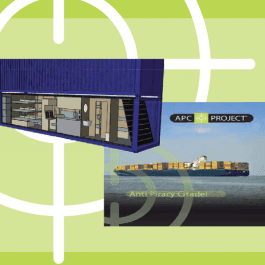 The container is equipped with oxygen generation, communication and positioning equipment and will have the option to intervene or interrupt the vital functionalities of the vessel. The goal is to provide a safe haven under piracy attack, whilst being able to contact authorities and ask for assistance. This means that the container is fitted out with beds, chemical toilet, a command desk and enough food and drink to stay put for up to 5 days. This project was initiated and is being executed as part of 'Pieken in de Delta' program (2006 to 2010), an initiative funded by the Ministry of Economic Affairs and the Municipality of The Hague to support collaborative use of commercial technologies in public security.